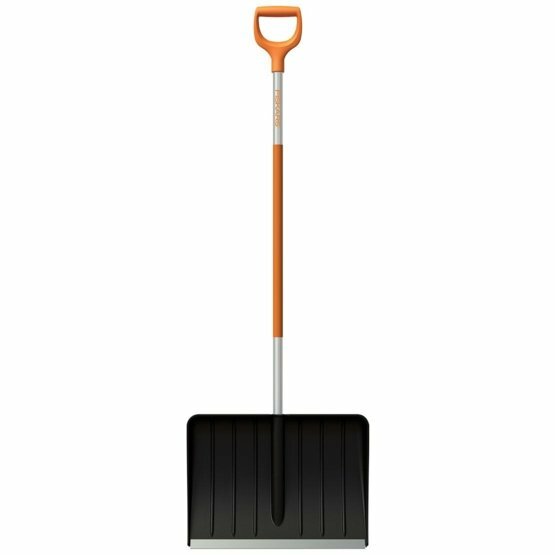 Fiskars SnowXpert™ snow pusher is a lightweight aluminium shaft and a tactile grip orange plastic coating. The ergonomically designed handle offers a comfortable, solid grip for the thickest gloved hand while the reinforced polypropylene plastic scoop is light yet stiff for shifting lighter layers of snow into heaps. This tool like others in the SnowXpert range features a new patented blade design incorporates a rigid steel bar inside, which increases blade rigidity and improves durability – ensuring better and lasting performance up to three times longer than existing solutions.